As ancient as the antiquities that surround it, and steeped in rich culture and tradition, Yogyakarta is Java’s heart and it pumps with youthful innovation and spirit. Cradled in the fertile hinterland of central Java under the shadow of Mount Merapi, and hemmed to the south by the Indian Ocean, it’s famous for both traditional and contemporary arts and being a seat of academia. It’s also shrouded in myth and folklore. This vibrant, fascinating centre is sure to capture your heart. So, now we’ve been introduced, what do we call this place? Yogyakarta is the official spelling; the Sultan uses Ngayojakarto; Dutch colonialists used Djogdjakarta; Jogjakarta is widespread; and then it’s commonly shortened to Yogya or Jogja. The Javanese spelling Jogja is employed in the logo of the city, but we’re going with the slightly more formal Indonesian usage, Yogya. No, it doesn’t sound like yoga—it’s “Jog-jah”. Back before the name Yogyakarta was spelled at all, the area was home to Hindu, Buddhist and animist dynasties during the eighth to 10th centuries AD. The legacies of those dynasties can be seen by visiting the incredible Borobudur, the world’s largest Buddhist monument, and the Hindu Prambanan temple complex. Gradually, the religious makeup of the region changed with the expansion of Islam across the island. The Mataram Islamic dynasty centred at Kota Gede became the dominant force here from the late 16th century to early 18th century. The Yogyakarta Sultanate was established in 1755 after a period of civil war, when Dutch colonial negotiations resulted in the signing of the Treaty of Giyanti and a split within the Mataram Kingdom. Simultaneously, the Sultanate of Surakarta (Solo) was created. The first Sultan of Yogyakarta, Hamengkubuwono I, built the city’s palace, known as the Kraton, which was conceived as a symbolic model of the Javanese cosmos. His descendant Hamengkubuwono X not only continues to sit on the throne today, an anomaly in the now Republic of Indonesia, but he is the democratically elected governor of the city. The split, however, did not resolve the disputes, which involved the Dutch and culminated in the Java War of 1825-1830, when Prince Diponegoro of Yogyakarta waged a “holy war” against the unpopular Christian colonialists. Later Diponegoro was exiled, and the court focused inwardly until Indonesia’s battle for independence after World War II, when the Dutch reoccupied Jakarta. Ruling Hamengkubuwono IX declared support for the new republic, and allowed rebels to use the Kraton as a base, the Sultanate of Yogyakarta once again in its history resisting colonial rule. Once Indonesia won independence, Yogyakarta was rewarded by being granted political status as a “special territory” becoming Daerah Istimewa Yogyakarta (DIY). Yogya’s interreligious and royal history still shapes the city and its surrounds to this very day. Javanese culture, manners and beliefs strongly prevail, but among it all, a modern society flourishes. Home to some of Indonesia’s most prestigious universities, Yogya is renowned domestically as a student city and has a hip undercurrent that mingles with its characteristically Javanese temperament. Overall, however, this region is far more conservative than Bali or Jakarta. Despite being home to some of Indonesia’s greatest Hindu and Buddhist temples, the vast majority of Yogya residents nowadays are Muslim. Visitors can show respect for the local culture and make their own travels easier by dressing modestly. For centuries, settlers have long praised the fertile volcanic soils around Yogyakarta, but these lush fields are the product of risk. 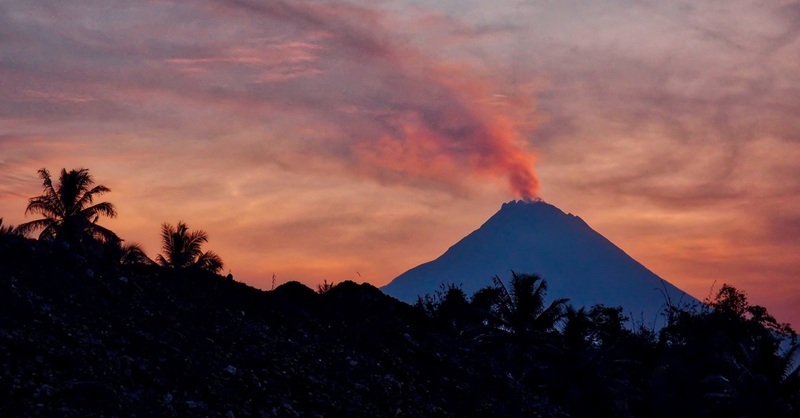 Nearby Mount Merapi has erupted regularly since 1548, and most recently threatened residents in 2010 when it lost 38 metres of its height and covered nearby grounds in acidic ash for months. In 2006, Yogyakarta was shaken by a devastating 6.3-magnitude earthquake. Nearly 6,000 people were killed, with tens of thousands more injured and 135,000 buildings destroyed. The city centre was spared extensive damage, but in outlying areas evidence of the quake is visible even today. The tourism industry bounced back strongly and has aided the city’s economic recovery. Yogyakarta offers many rewards for the traveller, which is why it remains the most popular destination in Java for international visitors. It’s home to some of the friendliest people on the planet who are eager to share their culture with visitors, and there’s a whole lot of culture to be had. The city is still a centre of production of handicrafts and traditional textiles and has Javanese dance, theatre and shadow puppet performances on nearly every day and night of the week, together with a thriving contemporary arts scene and hip cafe culture. Yogya is also the best base for exploring the stunning UNESCO-listed temples of Borobudur and Prambanan, which are not far from town. The colourful countryside along the way, filled with rice paddies, sometimes looks too lush and green to be real. The centre of the town is straightforward to navigate and many key destinations are within walking distance of one another. If the heat is too much, there is never a shortage of cheap transport options, including the becak (pedicabs) that are a distinctive part of the Yogya streetscape. Jalan Malioboro, Yogya’s central thoroughfare, runs from the main railway station down to the Kraton (Sultan’s Palace) and is a good point of reference for orientating yourself in the city. The streets around Jalan Malioboro are stuffed with places to lay your head, and south of the palace, around Jalan Prawirotaman, another accommodation hub is home to a growing number of excellent value friendly guesthouses and boutique hotels. Both of these areas offer a great range of options for eating and drinking as well as services such travel agents. Most of the main sights in the town centre lie in the area between these two hubs. Besides checking out the temple complexes (visit the nearby somewhat incongruous Chicken Church too), one of the best things to do in Yogyakarta is to simply soak up the atmosphere. The kampungs, or local neighbourhoods, are intriguing to wander around. The Kraton itself is full of mystical stories, and within the walled city, puppet workshops and batik galleries are tucked along narrow laneways. Here the curious underground mosque at Taman Sari is a must-see. You can join the locals in fun and games every evening at the Alun-Alun Kidul, the southern square of the Kraton, or simply take a stroll along Jalan Malioboro. If you’d prefer to wander with a local guide, ViaVia run excellent city walking tours, or “pay-as-you-wish” tours of Jalan Malioboro are offered by Jogja Good Guides too. One attraction we’d avoid, however, is the PASTY bird market, south of the Kraton (PASTY is an acronym for Pasar Satwa dan Tanaman Hias Yogyakarta). Rare (and sometimes endangered) birds and animals that may have been trapped cruelly (and illegally) are traded here; visits by tourists only encourage these practices. Further south in the historic royal seat of Kota Gede, silversmiths practise their craft by the streetside or in workshops behind ancient houses. If the traditional crafts intrigue, you may be keen to learn how it’s done—batik-, silver- and puppet-making classes are offered. Check with local travel agents to find one that suits. Yogya also has a higher-than-average population of genuinely talented street musicians and artists, so you never know when you might run into an impromptu concert or come across some amazing street art. You can pick up an “Art Map” and explore the numerous formal contemporary galleries. Biennale Jogja is something to mark on the calendar for art enthusiasts. There’s also plenty of shopping for those in the market for souvenirs. The Prawirotaman area along Jalan Tirtodipuran is the place to go if antiques and curios are your thing, and you’ll also find a handful of shops selling imaginative gifts by local craftspeople. However, beware of folk offering to take you to a “student exhibition”. This long-running, fairly harmless scam is more a waste of your time (and perhaps money) than anything too sinister. Jump on a bike and explore the villages on the outskirts of the city, or if you feel like a little sea air, head to Parangtritis Beach for wild atmospheric landscape and local ambience, but don’t wear green! If you have a little more time, the ancient and mystical royal cemetery at Imogiri offers views to Mount Merapi, which itself is an adventurous climb (when it’s not too active). Other popular day-trips include the cave system around nearby Wonosari, with Goa Jomblang the most popular. Candi Ceto and Candi Suku, two ancient temples, are closer to Solo, the other royal seat in Central Java, but are often visited from Yogya, as is the Dieng Plateau, where you’ll find Java’s oldest Hindu temples. The friendly Government Tourist Information Office will help you get orientated with free maps and local info. It’s at 16 Jalan Malioboro; T: (0274) 566 000; open Mon-Fri 08:00-19:00, Sat 08:00-14:00. The Central Post Office on the corner of Jalan Senopati and Jalan A Yani has the longest business hours of any we’ve come across in Indonesia: It’s open Mon-Sat 08:00 to 24:00, closed Sunday. ATMs are available around the city, but you may need to search for one that offers 100,000 rupiah bills. Be sure to cover the keypad when typing your pin and be on the lookout for machines that have been tampered with (give the plate a wiggle). For English-speaking medical assistance, try Jogja International Hospital or RSU Panti Rapih. Jogja International Hospital (Rumah Sakit JIH): 160 Jalan Ringroad Utara, Yogyakarta; T: (0274) 446 3535; Emergency: (0274) 446 3555; info@rs-jih.co.id; rs-jih.co.id. RSU Panti Rapih: 30 Jalan Cik Di Tiro, Yogyakarta; T: (0274) 514 014, (0274) 514 845, (0274) 563 333; admin@pantirapih.or.id; www.pantirapih.or.id.  Please sign up as a Travelfish member to download the Yogyakarta guide PDF (22 MB, 96 pages). Membership costs just A$35 per year (less than A$1 per week) and gives you access to over 250 PDF guides. Browse our independent reviews of places to stay in and around Yogyakarta. Read up on where to eat on Yogyakarta. Check out our listings of things to do in and around Yogyakarta. Read up on how to get to Yogyakarta. Planning on riding a scooter in Yogyakarta? Please read this. 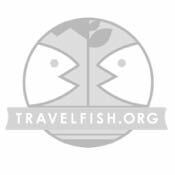 Use the above map to find specific destinations in and around Yogyakarta which are listed on Travelfish. Bed icons indicate a guesthouse, hostel or hotel, the knife and fork is an eatery or bar and the four-way circular thingy marks sights, attractions and other points of interest. Click on any icon for a short pop-up and a direct link to the page for that spot. If you are in the area, use the teardrop icon near the top left to show your position on the map (you'll need to allow position sharing for this last feature to work).